A blue whale is longer than thirty dogs lined up nose to tail. Its tongue weighs as much as four hundred cats. Blue whales make terrible pets....Just ask Billy Twitters. Mac Barnett is a writer living in Los Angeles, CA. He's also the Executive Director of 826LA, a nonprofit writing and tutoring center, and founder of the Echo Park Time Travel Mart, a convenience store for time travelers (seriously). 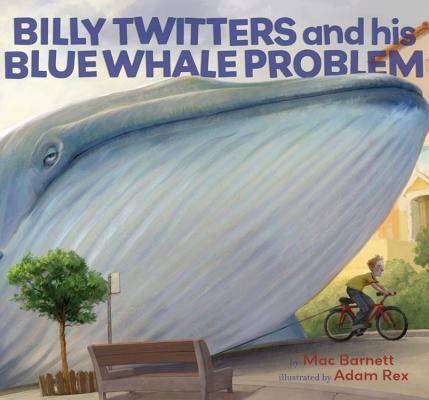 Billy Twitters and His Blue Whale Problem is his first picture book. Adam Rex (www.adamrex.com) is the New York Times bestselling author and illustrator of Frankenstein Makes A Sandwich. His other books include Pssst!, The True Meaning of Smekday, The Dirty Cowboy (written by Amy Timberlake) and the Lucy Rose series (written by Katy Kelly). He lives in Philadelphia.